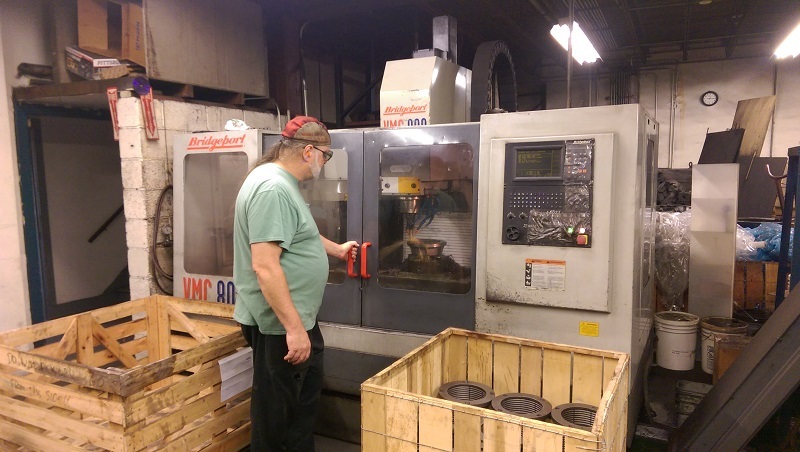 Carlson Erie has a broad range of experience in performing specialized pre and post-process machining work on materials that require re-machining or re-chasing before or after finishing. With our No. 5 turret lathes equipped with air chucks, we are capable of turning up to 19-inch diameter. By working with our team, you can be sure to find the best machining solution and also receive quality customer service. Carlson Erie has over 20 years of experience in working with various types of castings and alloys, including copper, brass, stainless steel, carbon steels and aluminum. Bolt circles 3", 5" and 7"
Tap sizes 1/2-13", 5/8-11" and 3/4-10"
Request a free quote for machining services from Carlson Erie today!